Yum! 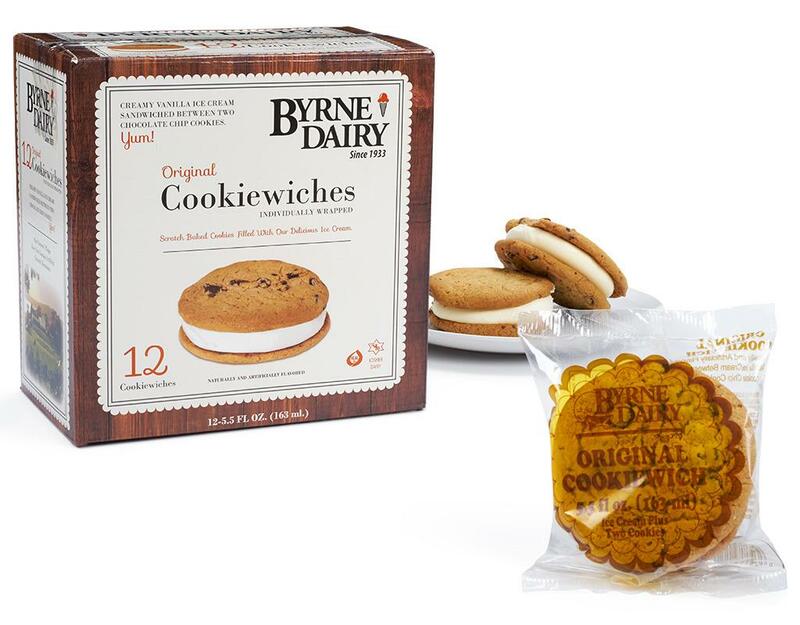 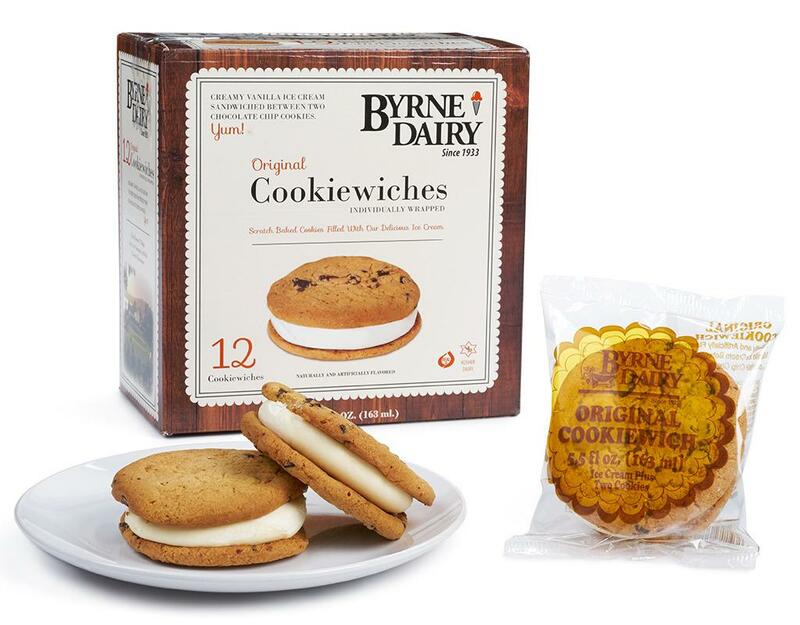 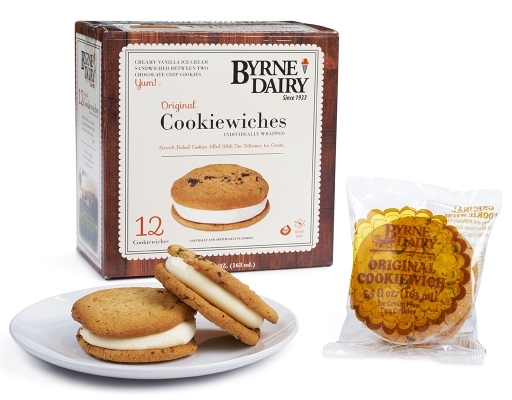 A creamy vanilla ice cream sandwiched between two chocolate chip cookies. 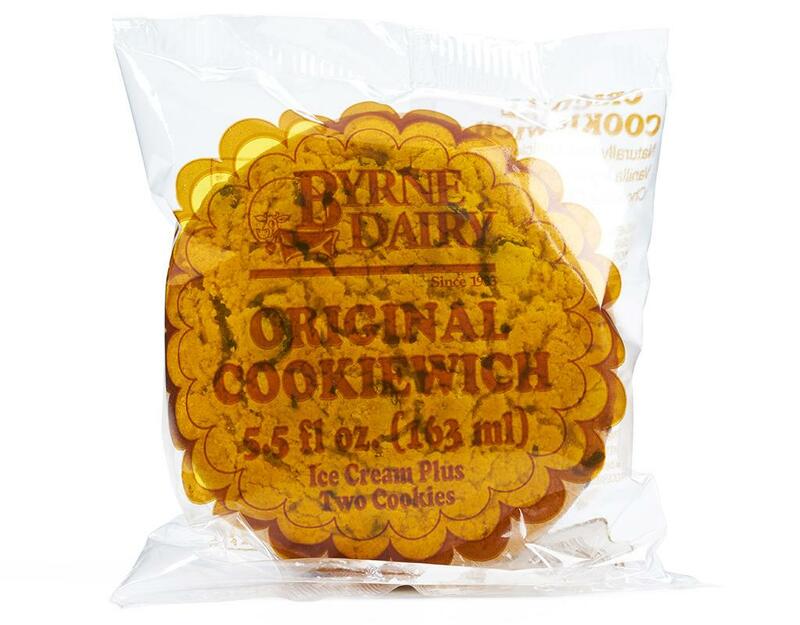 The cookie will melt in your mouth and the ice cream with sooth your taste buds! 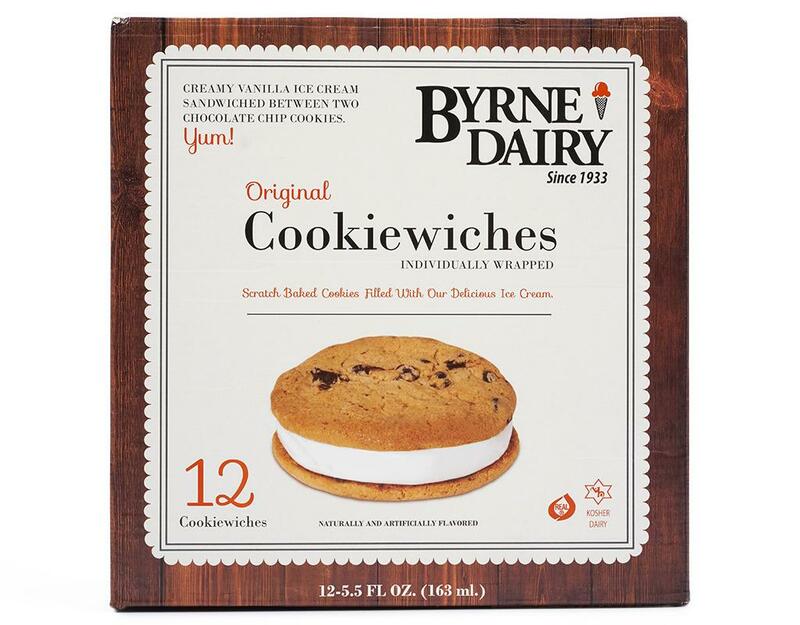 Bleached Wheat Flour, Sugar, Milk, Cream, Partially Hydrogenated Soybean, Cottonseed, Palm Oil, Corn Syrup, Nonfat Dry Milk, Dry Whey, Eggs, Chocolate Liquor, Guar Gum, Mono-Diglycerides, Cocoa Butter, Molasses, Soy Lecithin, Salt, Sodium Bicarbonate, Sodium Phosphate, Sodium Acid Pyrophosphate, Calcium Sulfate, Corn Starch, Carrageenan, Monocalcium Phosphate, Natural And Artificial Flavor, Polysorbate 80, Artificial Color, Vitamin A Palmitate.